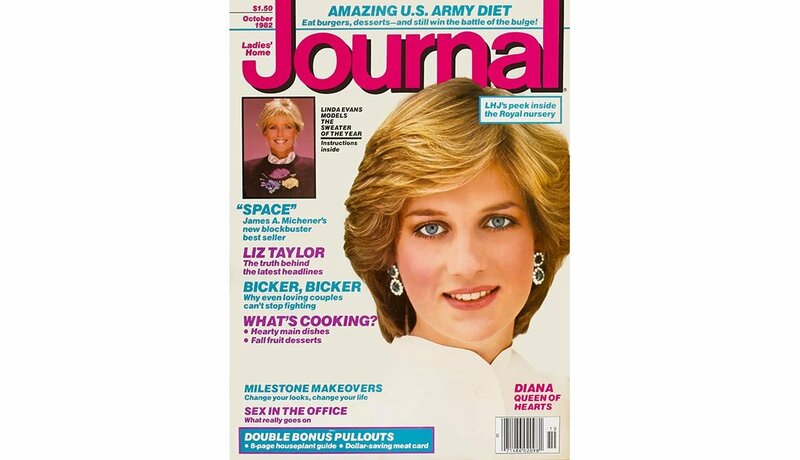 The world is introduced to 19-year-old Lady Diana Frances Spencer in 1980 after she began dating Prince Charles, Britain’s most eligible bachelor and heir to the throne. She’s dubbed “Shy Di” as she keeps her head down and dodges paparazzi while trying to go about her daily routine. In a photo flashed around the globe, she holds a child in her arms while her thin, flowing skirt appears semi-transparent due to lighting conditions. 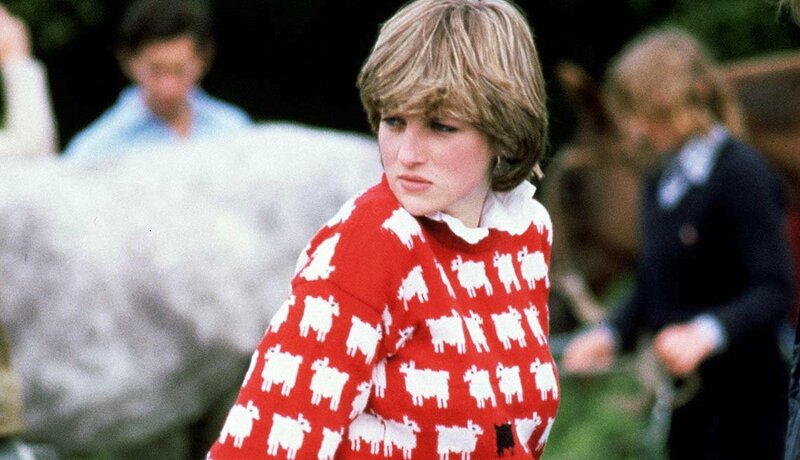 Diana’s reign as a fashion queen begins when women copy her short, layered hairdo and rush to buy what she wears, including rubber Wellington boots and a red sweater emblazoned with rows of white sheep and one black one. 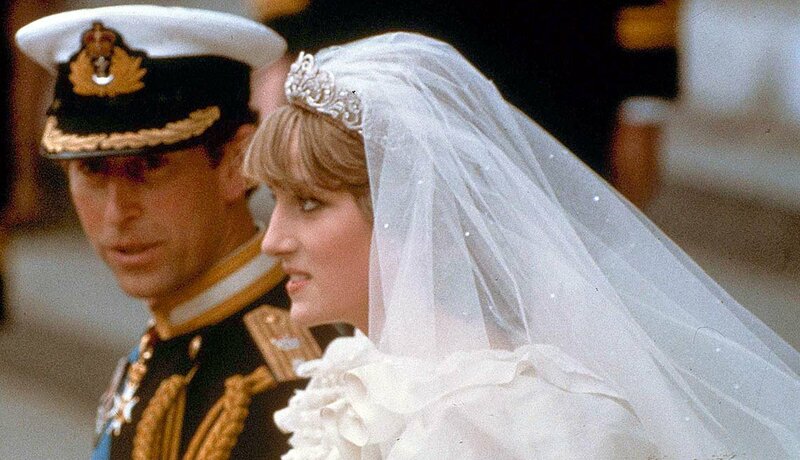 An estimated 750 million people watch the couple’s July 29, 1981, wedding at St. Paul’s Cathedral in London on TV. Di dazzles in a shimmering ivory silk taffeta gown with poufy sleeves, hand-embroidered pearls and a flowing 25-foot train designed by Elizabeth and David Emanuel. Adding to the fairy tale: a carriage ride to Buckingham Palace followed by a balcony smooch beamed ’round the world while thousands outside the gates roar approval. 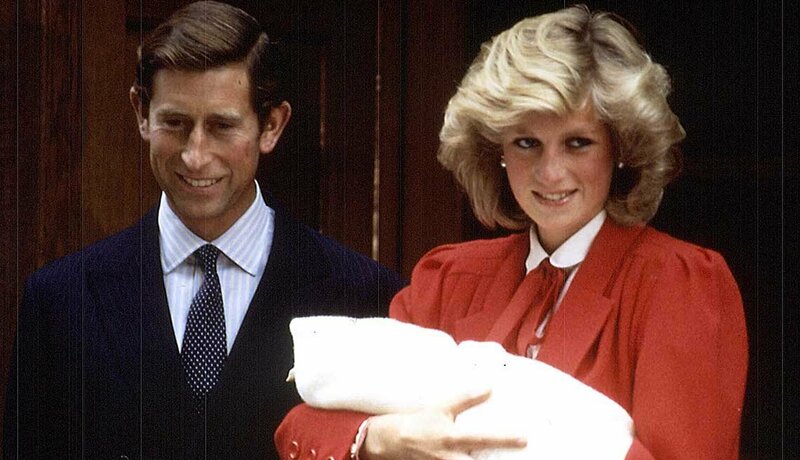 On June 21, 1982, Diana gives birth to son William Arthur Philip Louis in London’s St. Mary’s Hospital, with Charles at her side. 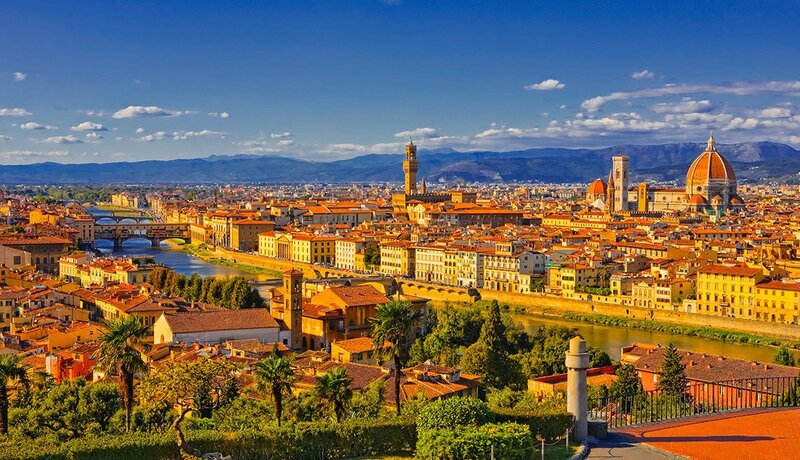 She demonstrates her intention to be a hands-on mom by taking the 9-month-old on her first big tour with Charles to Australia and New Zealand. 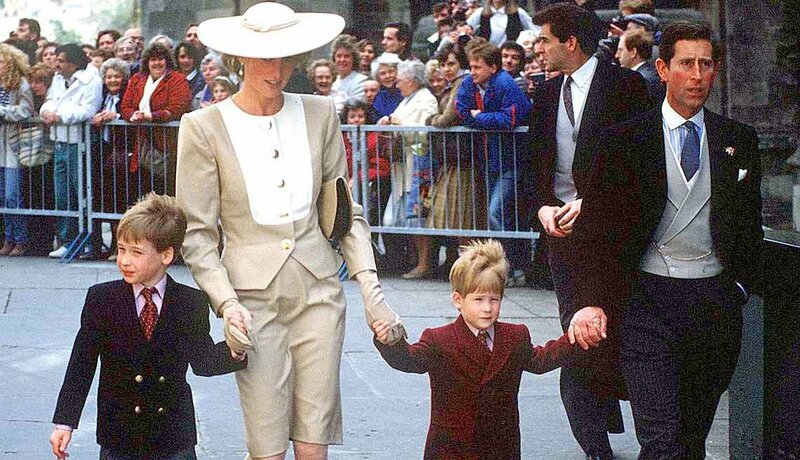 William is the first British royal infant to accompany his or her parents on an official overseas visit. 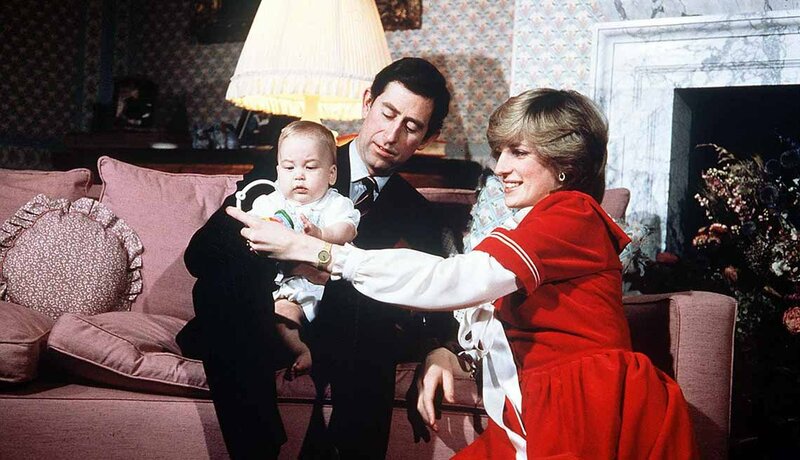 The couple’s second son, Henry “Harry” Charles Albert David, is born Sept. 15, 1984, giving them what’s jokingly referred to as “an heir and a spare.” Diana vows to make her children’s upbringing as normal as possible. 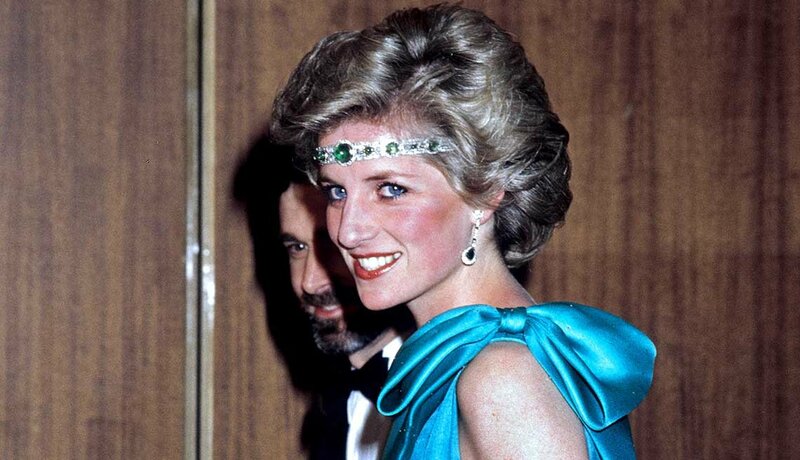 Developing more confidence and taking more fashion chances, Diana wears Queen Elizabeth’s wedding gift of a diamond-and-emerald necklace nontraditionally, on her forehead in a flapper style, during a state visit to Melbourne, Australia, in 1985. 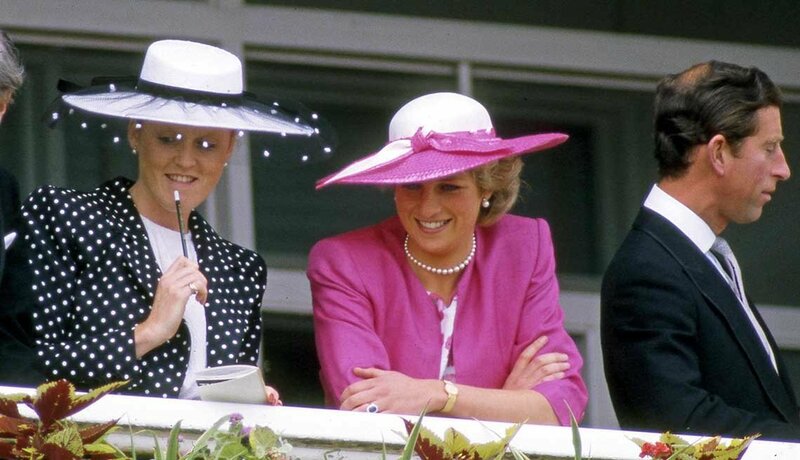 By the mid-1980s, Charles has resumed his intimate relationship with Camilla Parker Bowles. 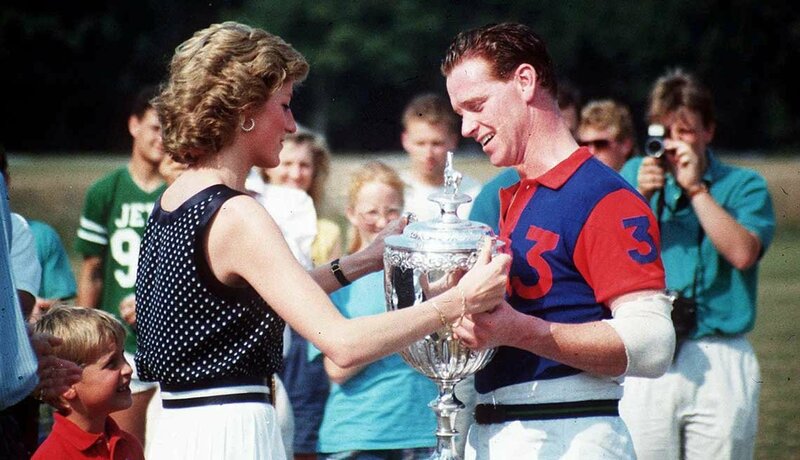 Diana embarks on a clandestine liaison with her riding instructor, cavalry officer James Hewitt. The affairs were later laid bare in Andrew Morton’s biography as well as in embarrassing tapes of phone calls between Charles and Camilla that fell into reporters’ hands. 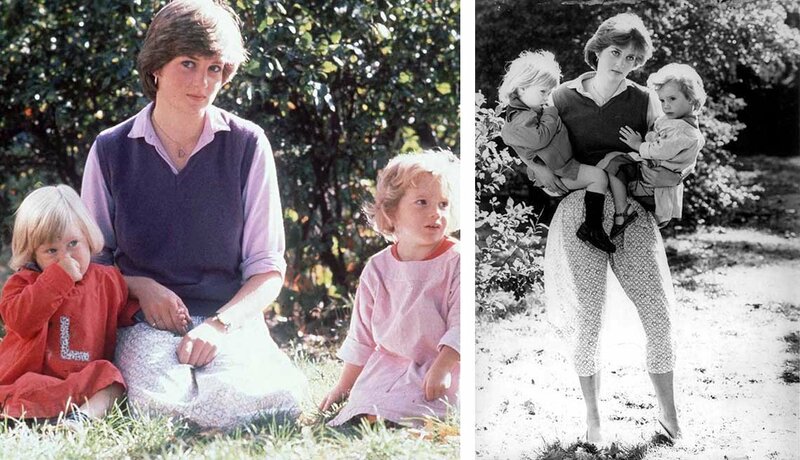 Diana flouts royal tradition by enthusiastically embracing pop culture, a contrast to her more intellectual husband. 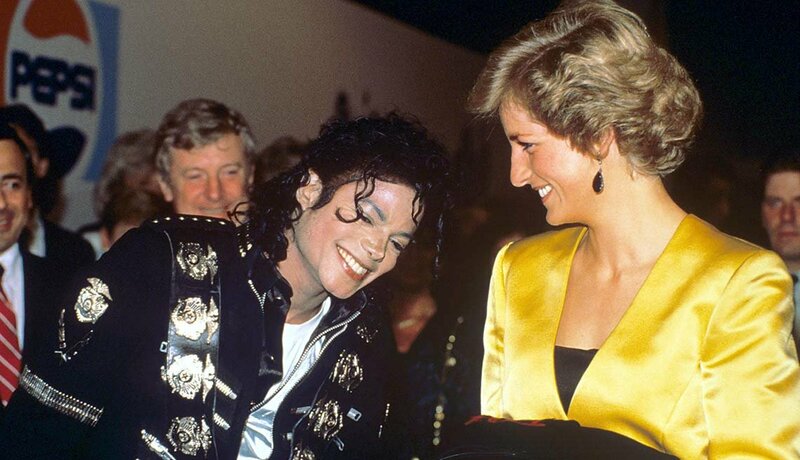 She relishes rubbing shoulders with stars such as Elton John (who performed a special version of “Candle in the Wind” at her funeral) and Michael Jackson. 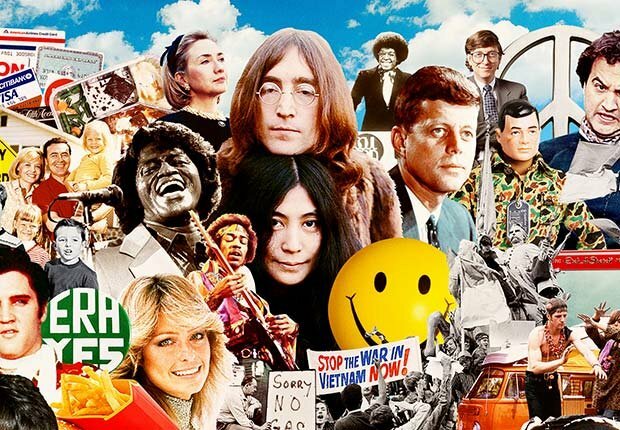 As the ’80s close, a fairy-tale ending seems unlikely. 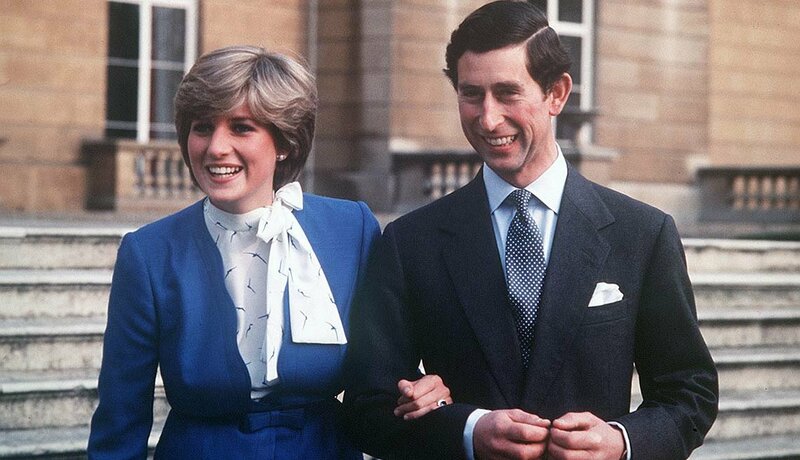 Although Charles and Diana put on a happy face for Christmas cards and at public events, the marriage continues to deteriorate. 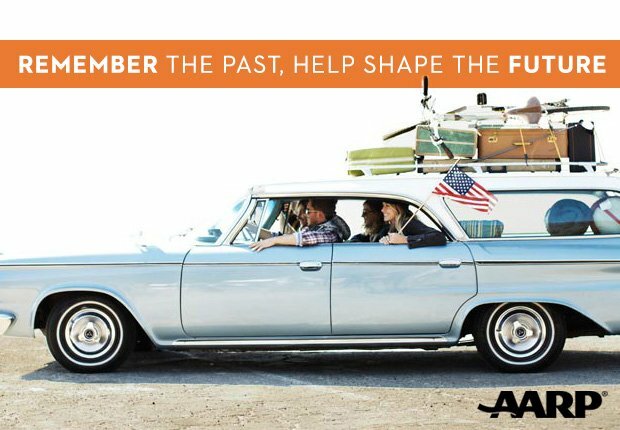 It culminates in a 1992 separation and a 1996 divorce. 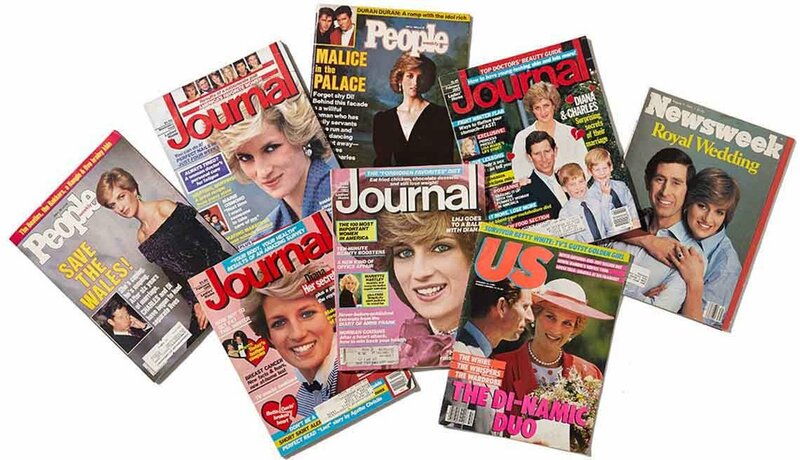 Then the world is stunned when Diana and beau Dodi Fayed are killed after an Aug. 31, 1997, car crash in Paris, prompting weeks of public mourning and an emotional funeral at Westminster Abbey. In announcing her death in a televised address, British Prime Minister Tony Blair dubs her the “People’s Princess.” “That’s how she will stay, how she will remain in our hearts, in our memories forever,” he says.